Anxiety can steal your bliss within seconds. People who suffer daily with anxiety, worry and panic attacks will develop physical symptoms as the behavior becomes chronic. This blog is a bliss-scription, or natural remedy providing you with holistic tips and tools that decrease anxiety and worry. I have used these powerful techniques to break free of panic attacks and chronic worry that eventually caused me to become homebound. From an Ayurvedic perspective, anxiety and worry are indicators you have too much air in your system. Our systems have five elements of Ether, Air, Fire, Water and Earth running through them. Over-active, or excessive can be caused by food, environment and even thoughts. When the air element in your body is excessive, you will feel scattered, worried, anxious and even manic. 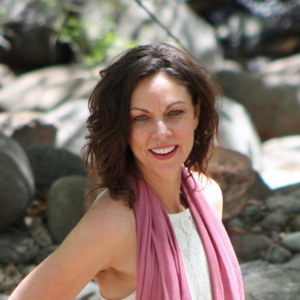 I use Ayurveda to help my clients stay balanced and free of anxiety. Personally, using the Doshas in Ayurveda and the five elements has allowed me to remain med-free for seven years now. Physical systems can include heart palpitations, tension in the body, and too much air in the colon. Nervous system disorders, skin issues, lung problems and brain function can all be affected when a system has an air imbalance. Emotional changes brought on by too much air are as follows: judgmental, impulsive, getting lost in thought, manic systems, overly giddy, ADHD, overly talkative, bored with routine, restless mind that is quick to fixate on the past or future. I always find myself dwelling on the past or fixating on the future when I have too much air in my system. I speak before I think and lack focus and clarity. I often become snappy with others, or I get so lost in my own world, I forget to think of other’s needs. Does any of this resonate with you? Releasing the excess air will set you free to experience the present moment and a life of bliss. Daily grounding and connecting to your body is ideal for anyone who struggles with anxiety. Some people use earthing and foresting to keep them connected to their body. Juicing and eating root vegetables such as beets, tubers, sweet potatoes, carrots...anything that grows in the earth. Gardening and outdoor activities that connects you to the earth. Meditation and daily visualization creates a space for your thoughts and ideas to flow. Aromatherapy and Flower Essence Therapy are great for anxiety and worry. Warm baths with lavender and sea salt will help relax and detoxify the body. As you soak imagine all the worry being cleansed and healed through the water. Daily exercise and movement of the body. Yoga is a great way to reconnect to the body and get out of your head. You can also walk, run, hike…there are endless ways to move your body. Eliminate caffeine, sodas, sugars and processed foods from your diet. When I released these foods, my manic symptoms went away within a few months and I was able to eliminate all nine psychiatric medications I had been prescribed. Yes, I was on that many psych meds. Journal and/or make a list of your worries at least once each day to get them out of your mind and onto paper. I often just purge and let myself write on the thoughts cycling in my mind. A good brain dumping feels blissful! Visualize your worry leaving daily. Worry with purpose. Instead of focusing on worst case scenarios, begin to focus daily on what you DO want. Do this each time you begin to worry. Have your perfect scenario ready and visualize it whenever a limiting belief or emotion flows in. Mantras and affirmations will shift your mindset. It is best to have your affirmations created and ready to use during times of stress and worry. Find a comfortable place to relax and let go. You may want to play soft music in the background to help you relax. Pick music, or an app that allows you to add in nature sounds to help you connect even more to the earth and your physical body. As you start to relax, imagine you are sitting outside in a comfortable chair. Connect to the breeze, feel the sun on your face, let the smells of nature flow in. Suggest to your subconscious mind that the sun and the sounds of nature relax you and help you let go. Do this until you feel complete. Once you are relaxed, notice next to you a pile of blank index cards. Spend time writing each of your worries on the cards. Take your time getting them all out of your head and onto paper. As you write, suggest to your subconscious mind the more you write the more relaxed you become. Each worry written takes you deeper into your subconscious mind. You may notice thoughts and feelings coming forth that you were not consciously aware of. Just let it all flow out of your mind and onto the metaphorical paper. Do not judge the thoughts. Just notice them. Once you are fully relaxed, imagine a guide, or mentor showing up with a bag of deflated balloons. Imagine each balloon represents one of your worries, or something that is causing your anxiety. Notice what colors are present. Your guide tells you the balloons can hold your anxiety and worry. You can attach the matching index card to the balloon and release it into the air to be carried off for healing. Each time you exhale your worry and anxiety into the balloon, silently command your subconscious mind and body to release the block for good. When you let the balloon go, let go of the stress and the pain your anxiety and worry have caused you release for good. Do this until you feel complete. 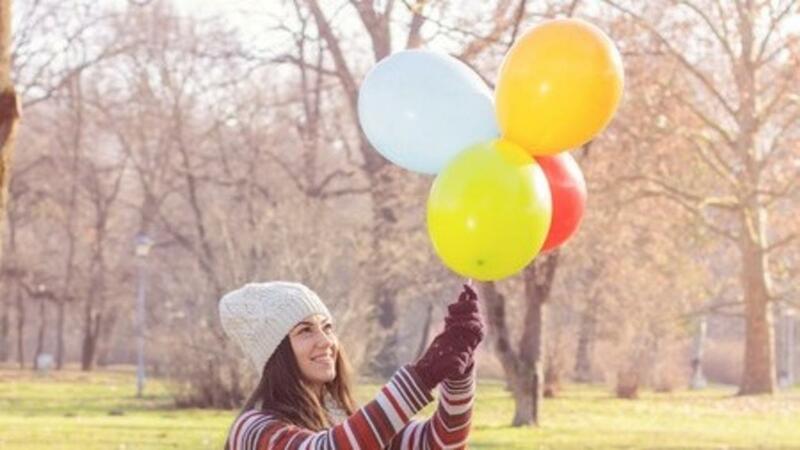 Once you have released all the balloons, imagine sitting down and writing down all of the thoughts you DO want to have about yourself and life. Let your guide give you tips for bringing those desires into your physical life. Do this until you feel complete. Once you feel complete, imagine your guide gives you a large bouquet of flowers. Each flower represents a new thought, or behavior to help you stay balanced and blissful. Breathe in the flowers and notice all the colors you see. Each time you worry remind your subconscious mind to bring this new scene to your mind. When you feel complete, open your eyes and return to the present and bliss. Did you find sitting still and visualization challenging? I can relate to that. When I first began using self-hypnosis, I used active, or moving meditation. This allowed me to gradually get used to the idea of visualizing and focusing without restricting my body. The last thing you want to feel is uncomfortable when you are trying to heal and create change. The above meditation can be done with real balloons. Minor changes can be made to replace the need to let the balloon drift away. Below is one way you can modify this meditation. Buy some colorful balloons you can blow up easily. As you breathe into the balloon, imagine exhaling the thought, belief or behavior that brings you anxiety into the balloon. Let it fill the balloon. Once full, imagine you can release the old air and anxiety into pure love and light. Have a bouquet of flowers ready to replace the old. For those on a budget, I recommend printing of coloring pages with flowers. As you color them, meditate on the new beliefs and thoughts you want to have. Hang them in areas of your home or office to remind you of your new beliefs. How Will This Meditation Help Me? I heal faster when I know WHY I am doing something. The above meditation process was created to balance your air element and bring in more earth. The balloon represents excess air and the feeling a person gets when they feel ungrounded and all over the place. The flowers bring in earth and reconnect you to your body in way that feels beautiful and refreshing. Flowers and nature have a deep impact on the body and mind. These flowers will act as an anchor for you moving forward. I shared these tools and techniques with you to bring you more bliss. My hope for you is you will love yourself enough to use them. If you find yourself resisting, or don’t know where to begin, working with a practitioner and coach may be to your benefit. To learn more about the packages and programs I offer clients, schedule a Discovery Call today and learn how you can partner with me in personal sessions. Do you want to learn more about using self-hypnosis to heal? Check out my blog “How Self-Hypnosis Can Heal Your Life & Set Your Soul Free”.